The Certified Nurse Aide (CNA) in Wisconsin provides a variety of critical healthcare services to the people under her or his care. Working under the supervision of an Registered Nurse (RN) or Licensed Practical Nurse (LPN), clients include medical facility patients, residents in various healthcare facilities and people with disabilities. It is a highly rewarding professional career offering steady employment and the satisfaction of knowing the services performed improve the quality of life for people with special medical or other healthcare needs. The Certified Nurse Aide position is referred to by a number of titles that include Certified Nursing Assistant and Nursing Aides. The Wisconsin Department of Health (DHS) – Division of Quality Assurances approves CNA training programs as meeting state legal and quality requirements. DHS has authorized Pearson VUE to manage Wisconsin’s Nurse Aide Registry. Only people listed in the Registry are allowed to call themselves “certified,” and certification is required to work in licensed healthcare facilities. New CNAs complete a state-authorized training program and pass a two-part competency evaluation examination. However, there are several pathways to get a name placed in the Wisconsin based on past training or experience. Following are the steps to take to meet CNA certification requirements. To select the best pathway to CNA certification in Wisconsin, first review the various eligibility routes. Select the one that fits individual qualifications. A new CNA first completes a Wisconsin state-approved training program. After completing training, the applicant is allowed to take the CNA certification NNAAP Examination. NNAAP is the acronym for National Nurse Aide Assessment Program. Wisconsin recognizes the training that nursing students complete includes learning CNA skills. A person who has graduated from a state-authorized nursing program but has not taken the nursing licensure exam for Registered Nurses or Practical Nurses must submit proof of training to DHS and request to take the NNAAP exam. The student nurse must provide verification of appropriate training and take the competency exam. If the graduate nurse attempted and failed the exam for Registered Nurses or Practical Nurses, the applicant must take the NNAAP exam. A Graduate Nurse who has a current nursing license also must take and pass the CNA exam in Wisconsin. An applicant who completed a Registered Nurse or Licensed Practical Nurse program in a foreign country can submit proof of RN or LPN status to the Wisconsin Board of Nursing (WBON). The WBON then provides a letter verifying the applicant is eligible to sit for the RN or LPN exam. The letter makes the applicant eligible to take the CNA exam. Certified Nurse Aides from other states have several routes to choose from in order to get placed on the Wisconsin CNA Registry. Unless indicated otherwise, training means the applicant has completed 120 hours of CNA training which includes 32 hours of clinical training. 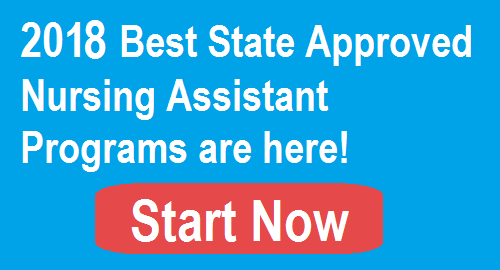 If an out of state Certified Nursing Assistant, the applicant can submit proof of completed training and verification of passing a nurse aide competency exam that is similar to the Wisconsin NNAAP exam to be placed directly in the Registry. If an out of state CNA applicant completed training but has not passed a CNA competency exam that is equivalent to the Wisconsin NNAAP exam, it is necessary to take and pass the Wisconsin NNAAP exam. If an out of state CNA applicant completed training but has not taken a competency exam, it is necessary to take and pass the Wisconsin NNAAP exam. An out of state Certified Nurse Aide who completed a training program that was less than 120 hours, worked as a paid CNA for at least 2088 hours in the prior two years (24 months) and passed a CNA competency exam similar to the Wisconsin NNAAP exam may be placed directly in the Registry. Employers must verify the hours worked. An out of state CNA who completed a training program that was less than 120 hours and worked as a paid CNA for at least 2088 hours in the prior two years (24 months), but has not passed a CNA exam, must take and pass the Wisconsin competency exam. An out of state CNA who completed a CNA training program that was less than 120 hours, but has not worked as a paid CNA for at least 2088 hours in the prior two years (24 months), must complete a Wisconsin state-approved training program and pass the CNA competency exam. A CNA who was once on the Wisconsin Nurse Aide Registry, but has allowed certification to lapse by not meeting employment requirements to work a minimum number of hours in a federally funded healthcare facility (see the section “How to Keep CNA Certification Active” for more details), will need to retake the competency exam. The Home Health Nurse Aide is listed in the Nurse Aide Registry but does not have certification that permits working in a federally certified home health setting. Military personnel can request consideration of their healthcare related military training as equivalent to the required CNA training. There are strict requirements concerning the types of courses and clinical hours that veterans must have completed. If the request is approved by DHS, the veteran does not have to complete a nurse aide training course but will have to take and pass both parts of the NNAAP exam on the first attempt. If the request is denied, the applicant will have to retrain and retest. Anyone who must complete a Wisconsin state-approved CNA training program will need to find the program that best fits their needs. There are many CNA program in Wisconsin located throughout the state and are found at technical colleges, education centers, and community colleges. There are also many nursing homes, long term care facilities and mental health institutes offering training programs. Federal regulations allow people to work for up to 4 months (120 days) in a skilled nursing facility before achieving Registry listing, if able to meet certain conditions. Conditions include being a full-time employee and working under the direct supervision of the supervisory RN or LPN. Boyceville CNA Professional Services, Inc.
Each nurse aide program in Wisconsin determines the costs for training. For example, the current cost estimate for the Nursing Assistant course at Gateway Technical College in Kenosha is $691 for resident tuition, two sets of uniforms, textbooks and curriculum, and supplies. There are additional fees incurred for certification fees, student accident insurance and other expenses. At Paramount Healthcare Training Institute in Milwaukee, the CNA classes cost $1,150, but discounts may be available. The website does not say what the cost includes. The Wisconsin CNA Training Center charges $855 for tuition and administration fees, but students will have other expenses for things like uniforms and supplies. This leads to three important points. First, when estimating the cost of any of the CNA classes in Wisconsin, be sure to include all expenses in the calculations. Second, schools can change the training program rates at any time. Third, always inquire about financial aid offered through the school or available through outside funding sources, like the Department of Workforce Development and the Division Vocational Rehabilitation (DVR). There is a way to get free CNA training in Wisconsin. Students can work and train at Medicare and Medicaid funded skilled nursing facilities, and the employer will cover all training costs. Nurse aides who are already certified and then employed by a federally funded nursing facility within 12 months of certification can also ask for full employer reimbursement of training costs. State law requires the Wisconsin CNA training program to be a minimum of 120 hours with 32 hours of clinical experience included. The classroom training covers topics under six broad care areas. The student learns how to successfully communicate with and establish effective relationships with clients; take and record vital signs; assist with bathing and grooming; apply assistive devices; protect client privacy; work with persons who have dementia; and much more. Clinical training gives the student hands-on experience with patients and residents while under the supervision of the RN or LPN. Pearson VUE is responsible for the implementation of the NNAAP competency evaluation examination and uses Credentia to administer Certified Nurse Aide testing. Exams can be taken at an approved regional test site or a training facility in Wisconsin. The CNA exam consists of two parts: Written or Oral Test and Skills Evaluation. Written or Oral Test – The Written Test has 70 multiple-choice questions. The Oral Test is comprised of 10 reading comprehension items and 60 multiple-choice questions. Pearson VUE provides an exam content outline, sample questions and a self-assessment reading test in its handbook. Here is a CNA practice exam. Skills Evaluation – The Skills Evaluation takes place in a setting that replicates a real-world caregiving situation. Applicants are tested on five skills, and handwashing is always one of them. The remaining skills are randomly selected from a list of 22 skills taught in CNA training programs. One of the four skills will include demonstrating measurement skills. Newly trained nurse aides and out of state CNAs must take and pass both parts of the exam within one (1) year of completing training to earn CNA certification in Wisconsin. If taking the exam under any other pathway, applicants can retake the examination at any time. Pearson VUE places the names of people who successfully passed the Written or Oral Examination and the Skills Evaluation in the Wisconsin Nurse Aide Registry. Those who do not have to take the exam, per a pathway described earlier, will apply directly to the Wisconsin DHS for Registry placement. Certified Nurse Aides who want to work in a federally funded skilled nursing facility must maintain certification to be eligible for such employment. CNA Certification is for 24 months for these nurse aides. Within the 24 months, the nurse aide must work at least eight (8) hours in a paid nurse aide position to keep certification active. If the nurse aide did not work or report the 8 hours within the 24 months, certification to work in federally funded nursing homes, home health agencies, intermediate care facilities for people with intellectual disabilities, and hospices lapses. For reinstatement, the nurse aide must retake and pass the NNAAP competency test. Per Wisconsin regulations, CNAs do not have to report work hours to maintain an active Registry listing if they will only be working in private or state funded facilities. It is not necessary to renew CNA certification. Employment hours only have to be reported to work in federally funded healthcare facilities. In Wisconsin, a nurse aide who is not eligible to work in a federally funded facility because certification lapsed will have a notated Registry listing.